For making Java language simple and avoid complexities present in earlier languages like c++, the founder of java(James Gosling) decided that java shouldn’t support Multiple Inheritance. In a white paper titled “Java: an Overview” by James Gosling in February 1995(link) gives an idea on why multiple inheritance is not supported in Java. If we try to do multiple inheritance in java we will come across an ambiguity problem. We will discuss about it below using an example. We have a super class A having a function called fun(). Two subclasses B and C extend class A providing their own implementation of fun() function. Assume class D inherits from class B and class C.
If we create an object of class D and try to access function fun() guess what will happen. This will lead to ambiguity problem. 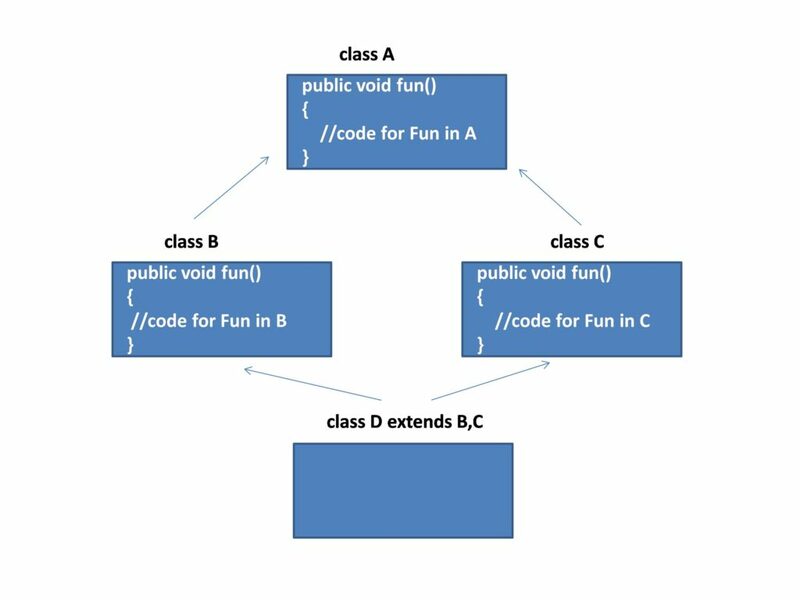 Because it’s difficult for java to decide which version of fun() function to execute, fun() of class B or fun() of class C. The above problem is also referred as diamond problem. In c++ we have multiple inheritance and the problem is resolved using scope resolution operator. 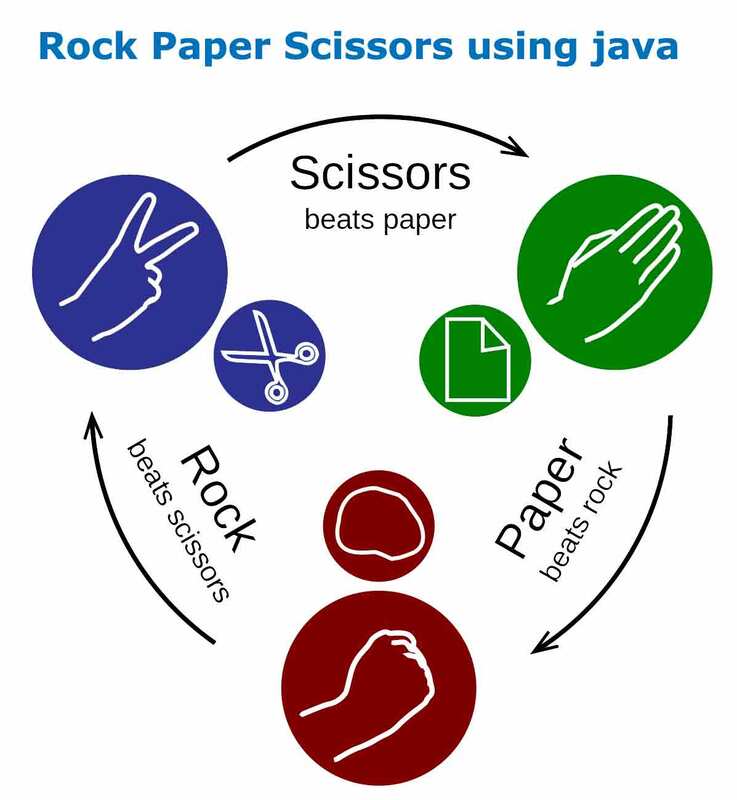 But java founders wanted to keep java simple and avoid complexities. Concepts like pointers, operator overloading are also avoided in java language for the same reason. Extending from two different classes having different implementations of a function is not much required in real world. Ejb1 had limited functionality just as a lady bug that doesn’t do much work still is appreciated by people due to its beauty. Ejb3 is very simple having power and is serving the people very well like a cow giving milk to the universe. 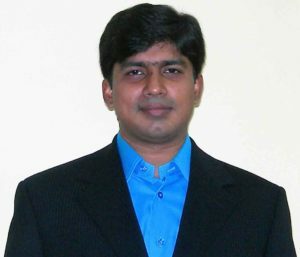 Ejb is a platform for building ,reusable, portable and scalable business applications using java. Ejb helps developers to concentrate on building business logic code without having to build infrastructure code comprising of functionalities including transactions, security, automated persistence that are provided by the Ejb container. Ejbs are server side components that you can use to build parts of an application like business logic or persistence code. These components in Ejb3 are simple POJO with special power. Component means that the user need not know the inner working of the Component, he only needs to know what he has to give and what the Component will give you i.e. application behavior has to be completely encapsulated from the outside world. There are 3 types of Ejbs. Session beans taking care of business logic. Entity Bean used for persistence. Message driven beans. One of the most important use of Ejbs is its reusability. E.g. If there is a site for online books that is using an Ejb code for checking credit card. Then if we create another Website for CDs then we can reuse the same credit card Ejb. The first Ejb can be put as an Ejb component or a web service that is used by both applications. The Ejb Container houses the Ejb components we develop. This Ejb Container together with the Ejb Component act as a Framework with predefined functionalities. This relieves the programmer from coding certain areas like transaction, security and persistence that are provide by the Ejb Container itself. Like if a programmer is creating a bean related to processing a credit card he need not create coding for the Transaction and Security that is provided by the Ejb Container Automatically. We can use metadata annotations in our beans to specify what all services and functionalities we require. These are added dynamically when required during deployment. Metadata annotations is a way to specify the properties in a POJO, and these functionalities get automatically added. So we can say a POJO + Metadata annotation=Ejb3 bean. So we don’t need any outside xml configuration files. Ejb is a specification which is followed by a large group of user vendors creating application server. So all have to follow the same specification making our applications portable. DDD is the preferred way as compared to the traditional four tired architecture followed by Ejb 2. Following DDD the domain objects should contain buisness logic and shouldn’t be just a replica of database record. Incase of Ejb 2 beans were not POJOS and didn’t support OO features like inheritance, polymorphism. Ejb3 helps follow DDD. Beans created using Ejb3 JPA supports polymorphism, inheritance etc. Ease of use, Integrated solution stack— Ejb3 offers a complete stack of server solutions, including persistence, dependency injection, interceptors i.e. we won’t need to look for third party solutions to integrate in our application. Ant is a Java build tool. It is an open source program designed to help develop, and build big programs by automating the work tasks of compiling code, running tests, and Packaging the results for redistribution. It is written completely in Java there by it is platform independent, easy to use, extensible, and scalable. It can be used in a small personal project, or it can be used in a large, project. It automates the entire build process. First ANT has to be downloaded and installed in the developers machine. Then the Path of the computer should be set to point to the bin directory of ANT. An environment variable called ANT_HOME should also be made in the System variables pointing to the installation directory of ANT. A build.xml file should be created that will contain several targets that will further contain different tasks. 1) Target containing Tasks for creating build/classes directory to contain compiled files and creating a dist folder to contain the jar or war file of the project. 2) A Target to compile the java files in the source folder and put it into the build/classes folder. 3) A Target that will package the project to a jar or war file. 4) A Target to create the java docs of the project. 5) A Target to run all the tests on the project. 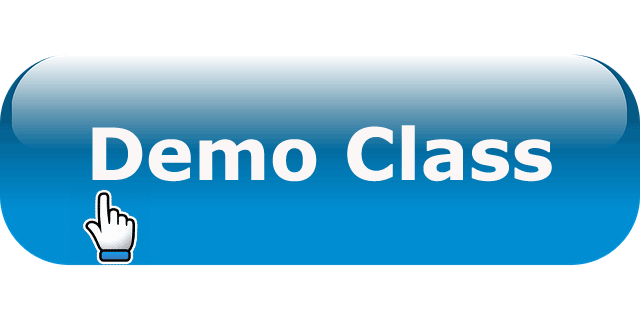 6) A Target to run the class file containing the main method. After following the steps the user can simply type ant on the command line and ANT will read the “build.xml” and execute all the targets. What are Exceptions in Java? 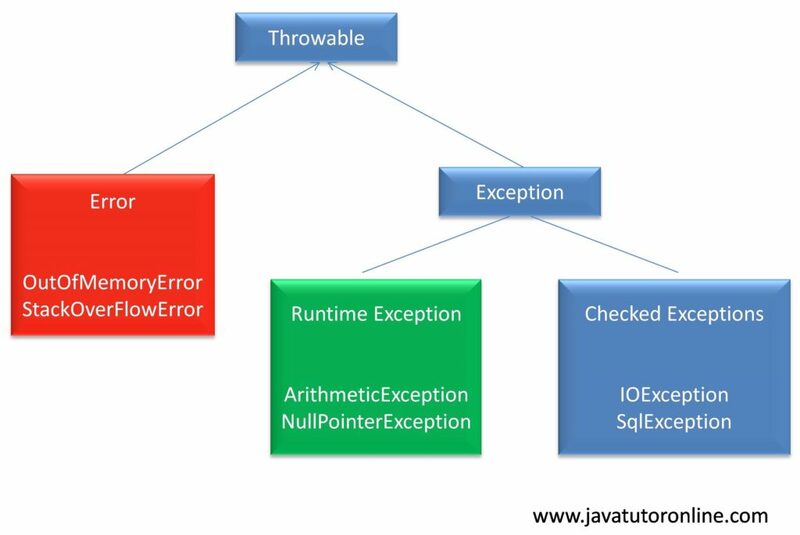 An Exception in java is an object that describes an exceptional condition in the program. A java exception object may be either generated in the code manually or automatically by the java run time system. All types of java exceptions are subclass of the inbuilt class Throwable. The two sub classes of Throwable are Exception and Error. The branch Exception deals with those exceptional conditions that the user program should handle. Exception further branches into RunTimeException and Checked Exceptions. RuntimeExceptions are those exceptions that are automatically defined for the programs that we write, like ArithmeticException, NullPointerException etc. The other branch is Error, which defines exceptions that are not expected to be handled by our program. A java program passes through compile time and run time. Exceptions are run time errors. Exception is an inbuilt class in the java.lang package. There are many sub classes of Exception class like ArithmeticException, NullpointerException etc. Depending upon the nature of the problem occurring during run time, java creates the appropriate Exception object and throws it. Why do we need to do Java Exception handling? Java’s Default exception handlers doesn’t do the work properly, they stop the program execution abruptly and gives a weird output to the user. This is the reason why we should do exception handling. To do java exception handling we have to use try and catch blocks. The lines of code that may throw some exception should be put in the try block and whatever we want to be done should be put in to the catch block. But on using try and catch the problem is overcome. Try Block– Those code that may lead to exceptions during run time are generally put inside the try block. Catch Block– What ever we want to do when ever any exception occurs should be put in the catch block. Due to the use of try catch block the above program will not stop abruptly, rather it will give a customized exception message during run time. There are many sub classes of the class Exception like ArithmeticException, NullPointerException etc. During run time different type of exception may occur depending on different conditions. So to handle the problems differently in different circumstances we need to have multiple catch blocks. In this example, if length is 0 than it will be caught by catch block handling ArithmeticException. If we go out of the range of the array an ArryIndexOutOfBoundException is thrown. Programs may have various type of exceptions which can be handled through multiple catch blocks. In this example third catch block is for general Exception type. The general Exception catch block should be put at the end. How to Create Custom Exception Class? There are some situations that is not an exception for java but it is an exception for our project. For example if you want to run your program only when user gives commandline input (this is your program need which is not an exception for java) so, this is the time when we manually create our own exception class. To create a custom exception we have to extent the inbuilt Exception class. Throw keyword is used for manually throwing java exception objects. When a custom exception object is thrown it has to be handled through try and catch blocks because it cannot be handled by the default exception handler of java. When we define a function and we don’t want to put try and catch block than we can use throws keyword. The caller of the function has to put the try and catch blocks. Throws keyword is for delegating the exception handling mechanism to the caller of the function. Unchecked exceptions are those exceptions that can be handling by java’s default exception handlers. If we try to throw unchecked exception inside a function we don’t need to put try and catch block nor the throws. Checked exceptions are those exceptions that can’t handle by java’s default exception handlers. When a checked exception is thrown from inside a function we are bound to put the try and catch block or the throws declaration.